Sunday, April 14th, 10 am to 4 pm. Since 1976 this has been one of the largest and best attended antique shows in western Canada. Located centrally between Vancouver and Winnipeg, the show attracts sellers and buyers from across the Prairies, as well as British Columbia, the north-western US, and even eastern Canada. 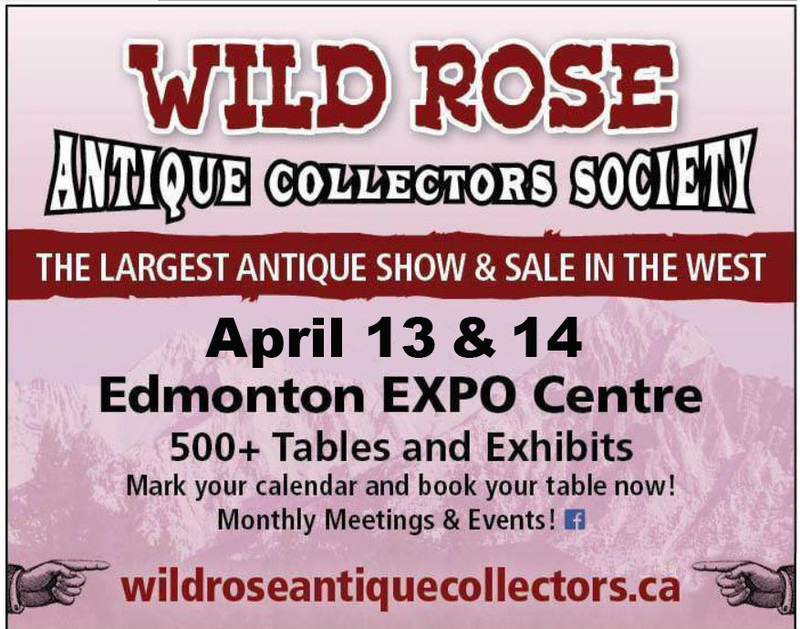 Presented by the Wild Rose Antique Collectors Society. FREE on-site appraisal by accredited appraisers. A maximum of three items will be appraised for anyone holding an admission ticket. A tour of our 2013 Show, courtesy Jerry “Woody” Woodhead, who also has several videos on provincial license plates.